Summer is such a great time to be a kid. If you think back to some of your best childhood memories, more often than not I'll bet they took place during the summer. It's the season of fun, freedom, amazing flavors, and the great outdoors. Here's some inspiration for activities to capture on film this summer - to help both you and your little adventurers remember this most amazing (and fleeting) time in their young lives. Is there anything that screams "summer!" louder than the beach? There are so many options for great photos here - little toes in the sand, building sandcastles, jumping in the waves, playing by the water at sunset, gathering seashells... Take your pick, and have so much fun. Tip: Remember to get down on your kids' level when possible. Photos taken from their height have better perspective and depth. At the beach, at the park, in the woods, or your own backyard - picnics are a special way to enjoy the summer weather. Select a fun blanket or towel, some yummy seasonal food, and dig in. Maybe let your kids invite their favorite toys as special "guests", too. Bubbles! It's amazing how bubbles = instant party for the under 5 set. But they continue to dazzle and delight kids of all ages, too. Capture of a few shots of your kids blowing, popping, and chasing bubbles, and you've captured the sweet wonder of childhood, too. Tip: For the best light, try having your bubble party in the early morning or evening, when the sky is at its prettiest and the sun is not too harsh. 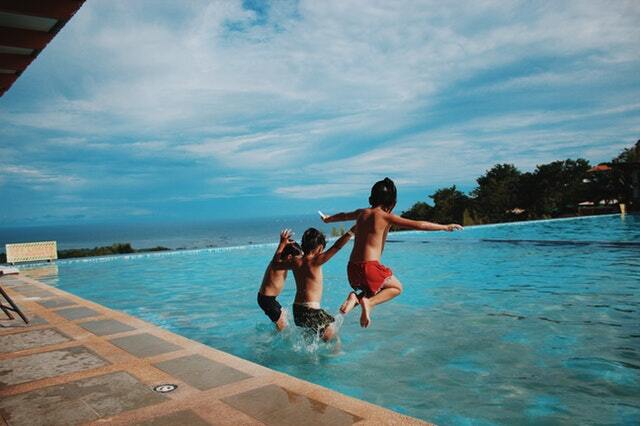 Splashing = summer fun. From the pool, ocean, or lake to a city fountain or a sprinkler in the yard, kids splashing and frolicking in the water is pure summer joy. For a really fun shot, but one that requires a bit of staging, try having your subjects line up and jump into the water together while you take a few photos from behind. Ice Cream! Popsicles! Smores! Watermelon! We all have some special sweet goodies that remind of us summer. Pass on the traditions to your kids, and be sure to capture photos of those messy faces and sugar-rush smiles. Kids are natural explorers, and most love to be outside on gorgeous summer days. Think catching fireflies, gardening, hikes and walks, collecting leaves and flowers, chasing butterflies, inspecting insects, etc. A few photos help capture this beautiful time of curiosity and wonder. Grab a bucket of sidewalk chalk and head to your driveway, patio, sidewalk, or local park. Let your little artists draw their hearts out, creating colorful shapes, scribbles, games, and more. Snap a few pics of their unique creations to help you both remember this classic childhood pastime, before the rain washes it all away to create a fresh canvas for next time! 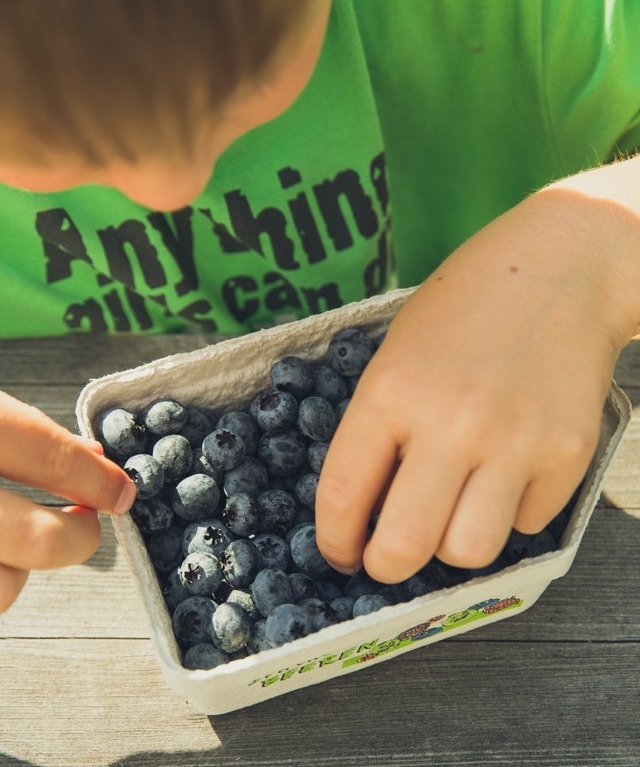 Whether it's your own garden or a trip to a local farm, help your kids learn the where their favorite food comes from - and how much better it tastes freshly picked! From berries, peaches, and watermelon to tomatoes, peppers, and corn, the summer garden/farm is a wonder for all ages, with the bonus of fresh goodies to bring home with you. Snap a few shots of your kids picking your treats (and tasting them fresh in the field), for some cute memories. Watching your kids enjoy an exciting display of fireworks is one of the treats of summer. Try capturing a shot of their mesmerized faces lit up by the bright lights. Postcards: Kids love snail mail. Make your own summer postcards and send them to pen pals, cousins, grandparents, and more. Summer Memory Project: Your kids are creating their childhood memories now. Make them a small photo album all about their summer to help them remember the simple joys of this time in their lives. Crafts: Print your photos and let the kids make arts & crafts with them, or simply tape on the wall in a temporary collage to enjoy. Scrapbook: Print your favorites and tape them into a blank journal. Let your littles make their own scrapbook by drawing pictures, picking out their favorite moments, writing down some memories, etc. Videos: Make a video or slideshow of summer memories and watch it together on family movie night. Kids love seeing themselves on the big screen. This list is not a checklist that you MUST accomplish or else you are a parenting failure. It's inspiration, a starting point, a spark to help you make a mental note of all the fun things your kids are experiencing right now that you might want to remember later. You're doing a great job. Having the pictures just makes it easier for you (and your kids) to remember that. So get out there, take some pictures, and above all HAVE FUN with your kids. That's all they really want. Older PostWe've got a new look.